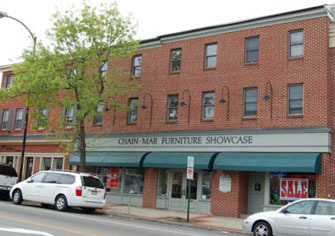 At Chain-Mar Furniture Showcase we are a family run business founded in 1938. We have earned the trust of four generations of consumers throughout Montgomery, Bucks, Delaware, Chester counties, Philadelphia and beyond. This trust has been built on the confidence that our customers have in the quality of the products that we sell and in the uncommon services we provide. 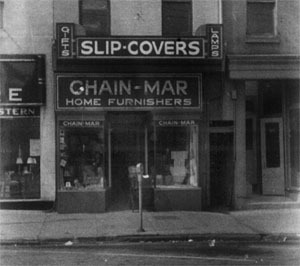 You'll notice the difference at Chain-Mar the minute you walk through the door. Browse beautiful furniture for every room in your home, manufactured by suppliers located in the United States, Canada, and the rest of the world. Admire attractive, well built dressers, beds and cabinets with beautifully grained hardwoods and deep, clear finishes. Test our lines of tastefully designed, expertly upholstered, remarkably comfortable sofas, chairs and sectionals with durable and touchable fabrics and leathers. All our products are available in a range of selection options to please even the most discriminating homemaker. Best of all, you'll find our prices to be among the lowest anywhere. We will professionally guide you through the selection process explaining the quality features of our products and why you can fully expect many years of service from them. We'll carefully prepare your order before delivery to above factory standards. Then we will deliver your order to your home and set it up in your room. Plan a visit soon to our warm, friendly place. We'd love to meet you!